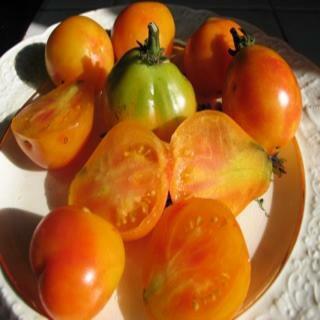 Piedmont Pear tomato seeds produce cute little gems that are smallish, around 2-4 oz. and are absolutely delicious. Very Rare tomato! This is the only pear shaped bi-color I have ever seen! These cute little gems are smallish, aound 2-4 oz. and are absolutely delicious. They make quite a statement atop a bed of colorful fresh salad greens. *10 seeds per packet.